This book wants to find the secular in Narnia. Is there Universalism in Lewis's theology? It takes a post-modern approach to explaining why Christianity should be experienced or felt rather than studied or interpreted. It suggests that Lewis's religion failed him when it came to his view on animals. Frankly, if you read anything by Lewis, I can't see how you can separate his Christian faith from Narnia. It's just intricately woven into the tales. I DO find it kind of interesting though that the secular wants to claim these stories. It's kind of a nice change of pace, in some ways. Most of the time I see Christians trying to take what is secular instead of Christian and twist it for their own giggly purposes. I'd much rather the original work be written and presented from a Christian worldview in such a way that it's "terrible beauty and devastating brilliance" (quoting the back of this book) is appealing to the secular and is of such a high quality that non-Christians sit up and take notice. THIS, my friends, is how Christian authors today SHOULD be writing. They should be pursuing the very best and putting pen to paper to create "devastating brilliance", such that it draws people to it. It's leaps and bounds better than (essentially) stealing from the culture because we couldn't come up with something original on our own. Looks to be a basic overview and look into the Wardrobe and the Narnia series. This book is written by David C. Downing who, according to the book flap, is a "leading C.S. Lewis expert, award-winning author, and professor of English at Elizabethtown College in Lancaster County, Pennsylvania." He has written many articles about Lewis that have appeared in Christianity Today. If you're interested, you can read this Q&A With Downing about Into the Wardrobe . 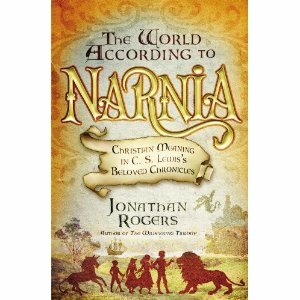 From the back cover: "Readers will be captivated by the masterful way Rogers shows how the story lines and characters from Narnia Sing with biblical truth. 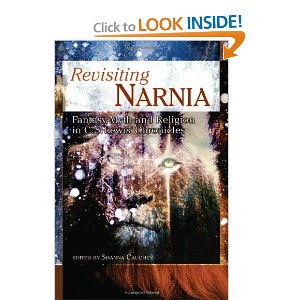 The particular magic of The Chronicles of Narnia is their ability to awaken the reader to the imaginative possibilities that have been in the Gospel all along." This one I do hope to read sometime this month. 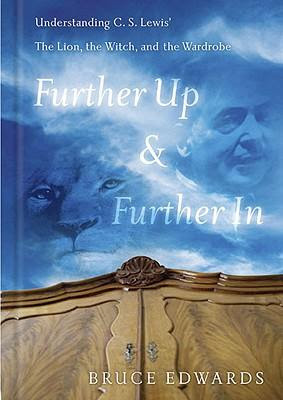 This book is written by Peter J. Schakel and takes the approach that Narnia should be read as a series of fairy tales. The back cover lists him as an "internationally respected student of C.S. Lewis's work" who has "written or edited" five previous books about Lewis. I like the way he has labeled his chapters with titles such as: "Magic and Meaning," "Freedom and Obedience" and "Endings and Beginnings." I'm definitely intrigued and am putting this on my "Read Before You Return it to the Library or You MAY Just Regret It" stack. Ok, folks! This was a nice little stack of Narnia books. If you can believe it - this seems to merely scrape the surface! There are so many more titles that I found online when looking up the cover art for the ones I brought home from my library. 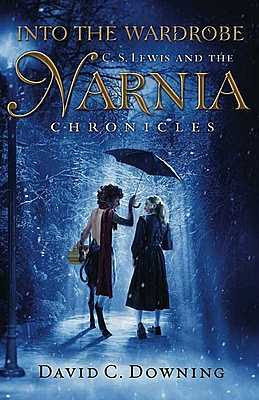 If you have a good Narnia resource book that you haven't seen on this list, tell us about it! What a great phrase. Good thoughts on the aim of Christian writers -- I agree. All these were at the library? That's a fabulous selection of Lewis studies. My 10 year old daughter and I are using ROAR as we read through The Voyage of the Dawn Treader. 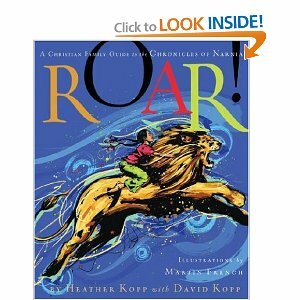 So far, this year is shaping into a great experience with my daughter as I am really enjoying my time with her while we read aloud and use ROAR as a jumping off point for some nice discussions. 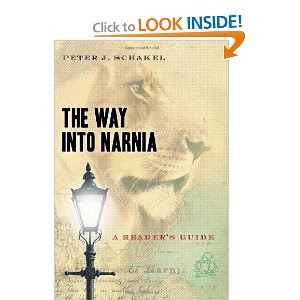 The last few days we have added A Family Guide To Narnia by Christin Ditchfield into our discussion time. It is providing some additional thoughts and questions. Interestingly to note, there is similarities between the two resources in regards to the scripture focus. These books all look great. Well, except for the the first one. What I'm surprised about is that your public library has so many books on the subject. Let me guess, you do NOT live in a small town! My small town library would have absolutely zilch on the subject. I served as librarian at my church for a few years and a friend of mine asked me to find and order a book that would explain how the "magic" in Narnia is different from that of Harry Potter. I found a great book about it, that included the Lord of the Rings, too, but I can't remember the name of it. OK, a lot of information. I'm feeling chatty this a.m. Have a great day! You're right...Lewis is an excellent example of a Christian novelist. I wish I could do that. If I ever decide to pursue writing, I have a long way to go. Wow! You really did come home with a pile of books! !